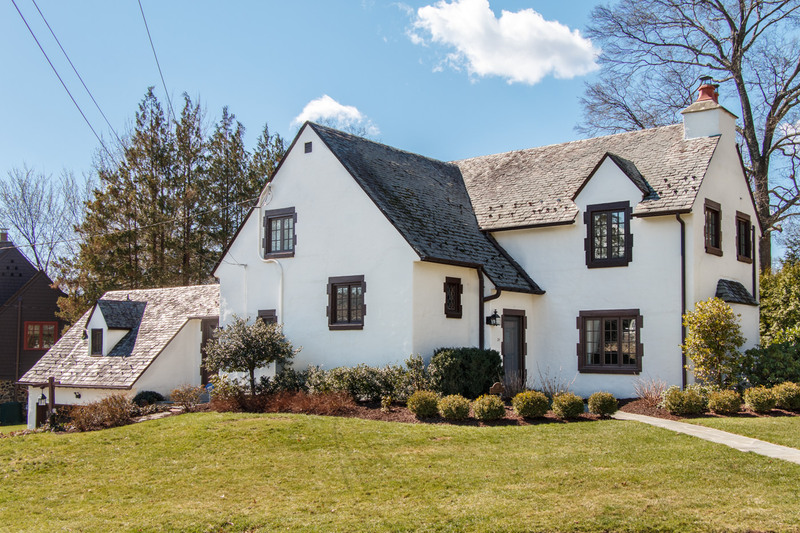 Step inside 24 Haddonfield Road, a charming Tudor style home with 360-degree views of the neighborhood, nestled in beautiful Short Hills. 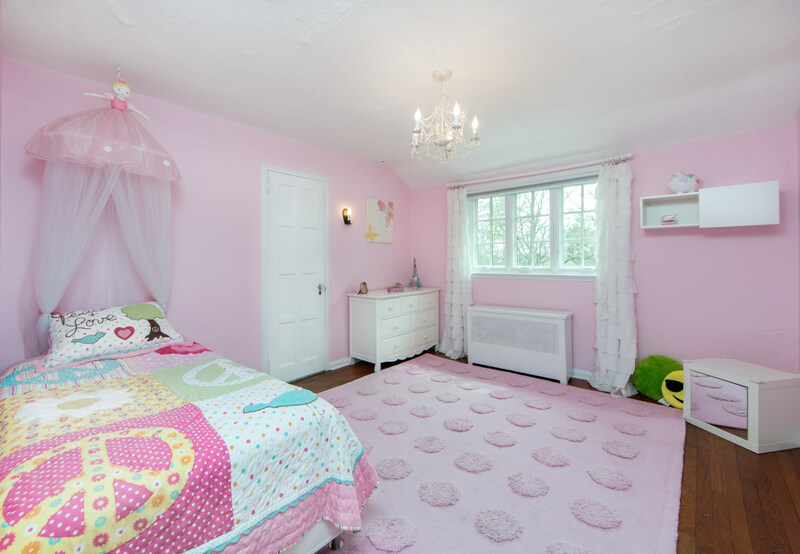 This four bedroom, three full, two half bath home is adorned with custom built-ins and high end finishes throughout. 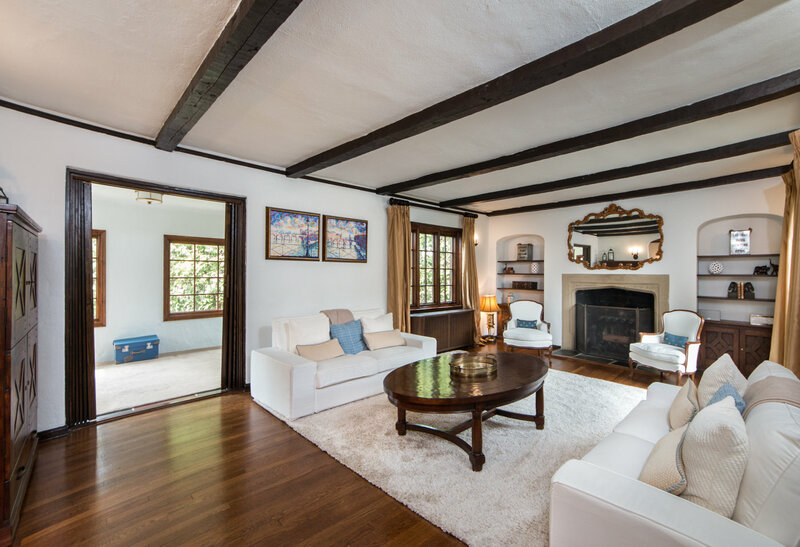 Although this home is fully updated, the original floor plan—including the space’s captivating original details—remains intact. 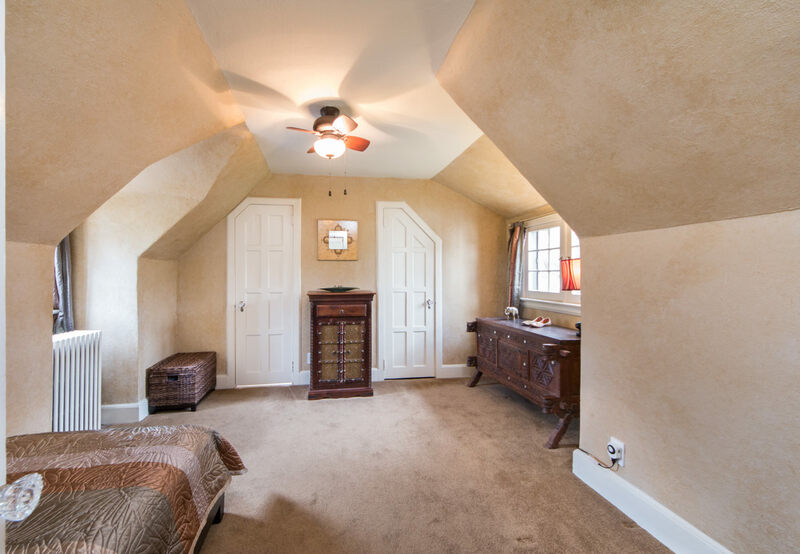 Dark wood exposed beams, arched doorways, vaulted ceilings, and stucco walls bring you back in time but the brand new granite and marble kitchen and updated bathrooms contributes to this home’s completely move-in ready status. 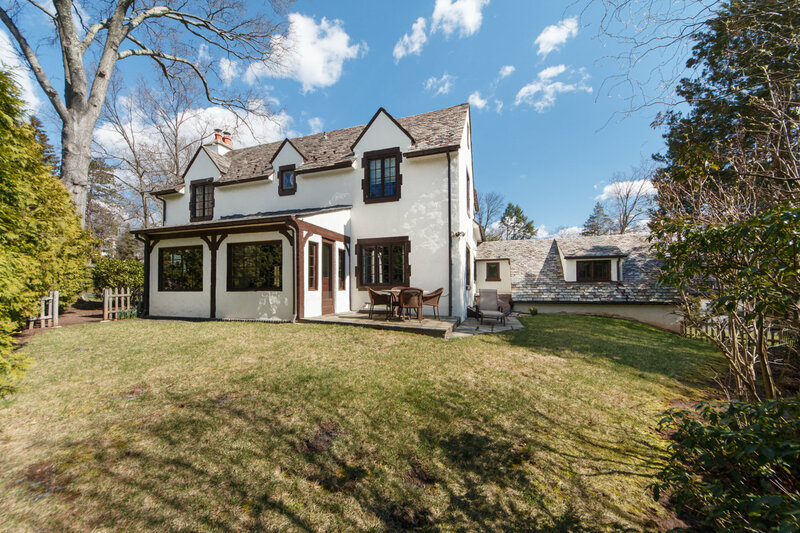 Drive up the quiet, winding roads of this ideal Short Hills neighborhood to find 24 Haddonfield’s large, grassy yard encircling the uniquely detailed home. Notice the freshly painted stucco exterior complemented by brand new, energy efficient windows. Old world charm is immediately apparent once you notice the traditional diamond grid windows and detailed casings. Custom landscaping and a bluestone walkway lead you to the front door. 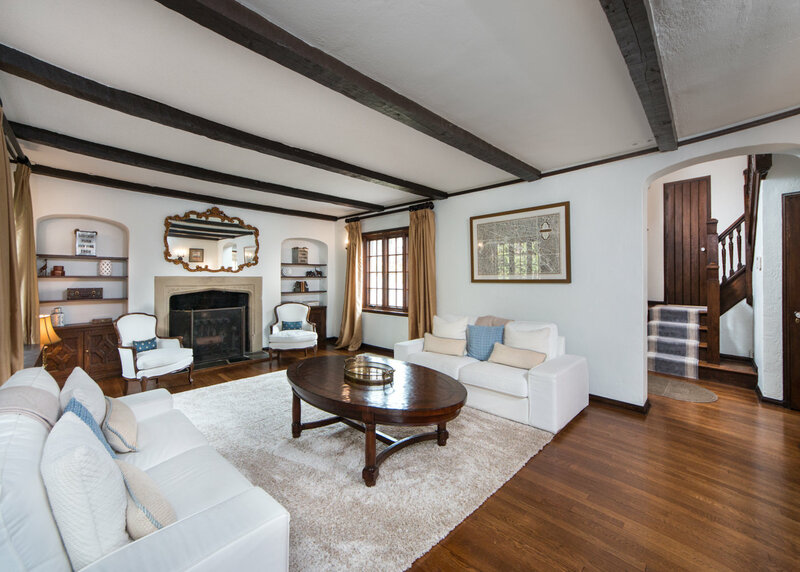 Walk inside to find immaculate oak hardwood floors, and then gaze up at your breathtaking vaulted ceilings with exposed beams. The main staircase to your left takes you up to your easily accessible Powder Room covered in marble and dressed with a custom window covering. 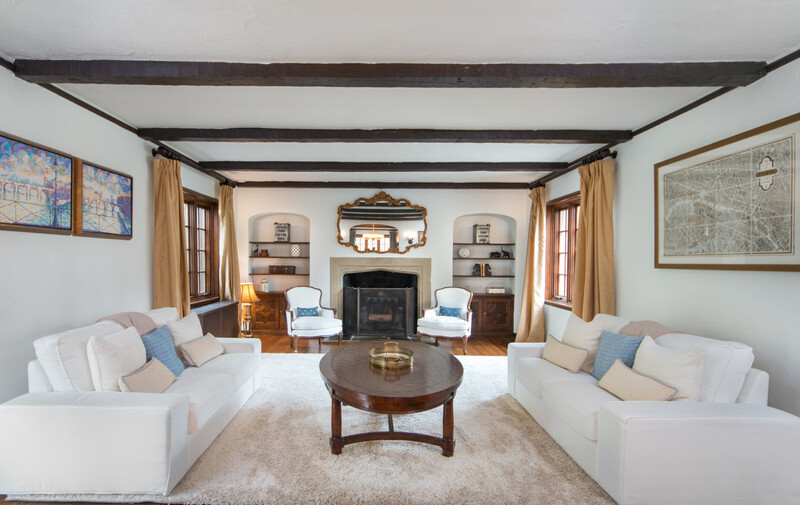 Show off your favorite china or glassware in two original built-in units flanking your fireplace in the enormous Living Room on your right. Gigantic, custom windows pour in natural light to emphasize the glowing floors and exposed ceiling beams. 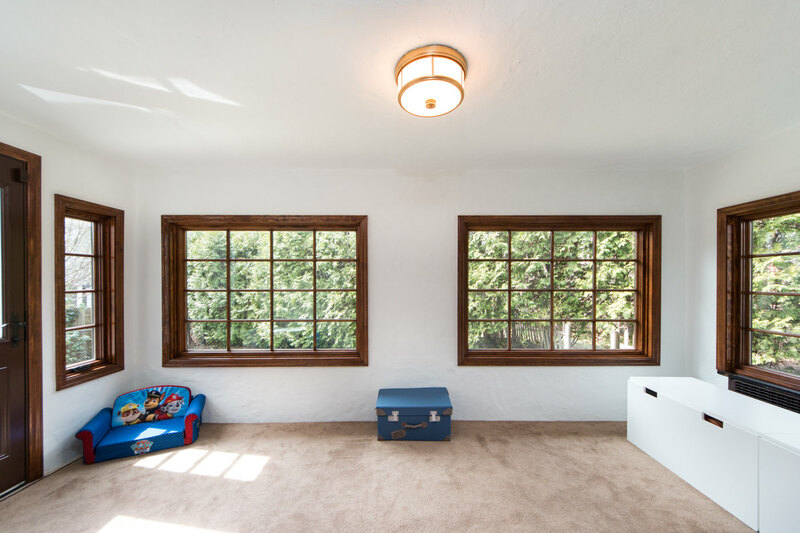 A Sunroom at the back of the house gives you views of the expansive back yard and patio, and a fantastic space to relax or give the kids some space to play. Shut the custom accordion pocket door when you need privacy. 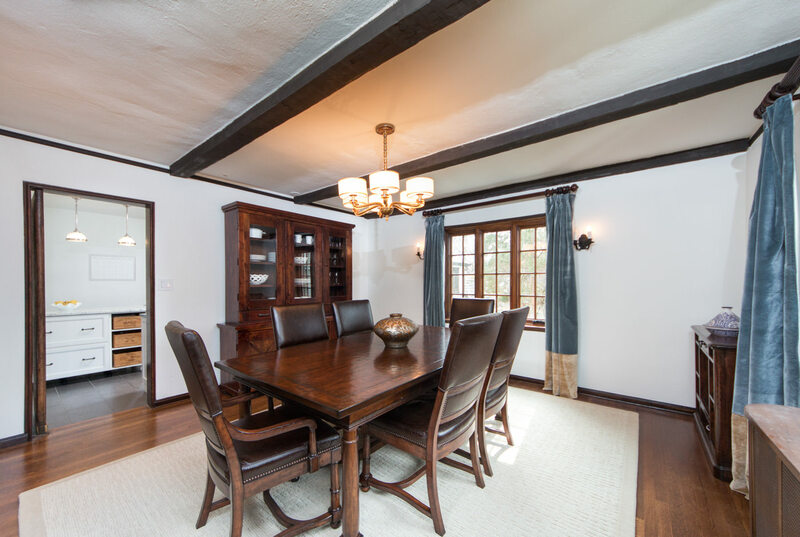 Move through the elegant archway into the formal Dining Room where the hardwood and exposed beams continue to impress juxtaposed next to updated features such as the brand new chandelier. Undoubtedly, the Kitchen is a true masterpiece. 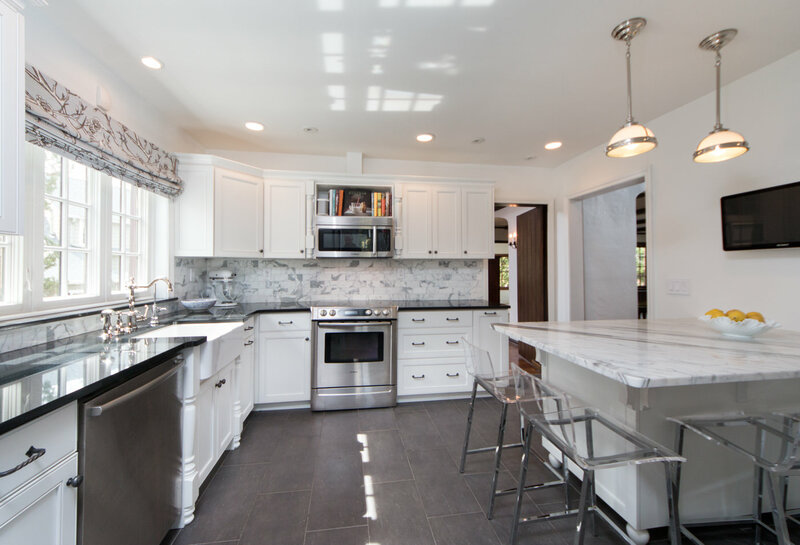 The new granite countertops complement the all-white custom cabinetry that includes a pull out pantry, spice racks and a marble backsplash. A built in stainless steel Bosch microwave hovers over the electric Bosch stove and oven. A family of four can sit down to breakfast at the marble peninsula that includes lots of legroom and deep storage. 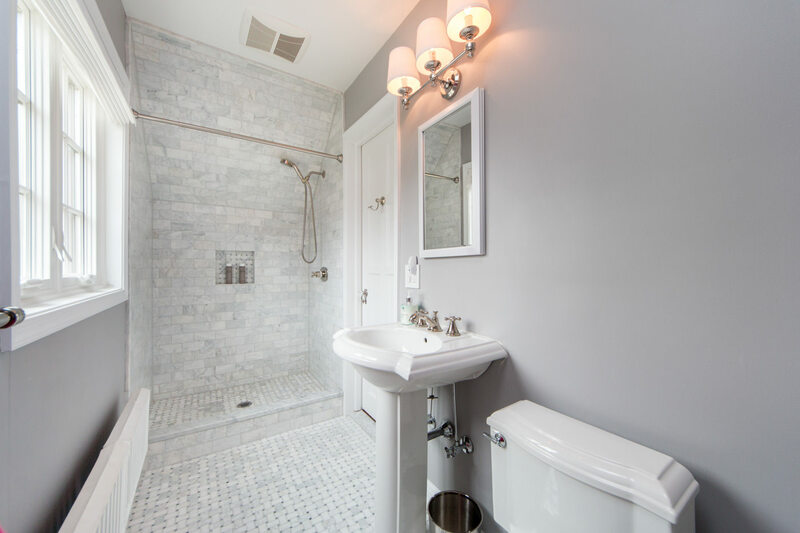 Polished nickel fixtures compliment the exquisite ceramic floor. 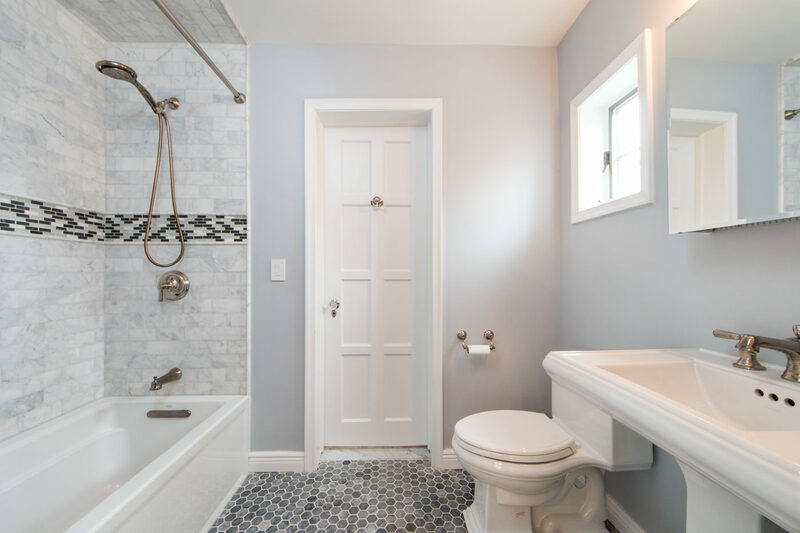 In the rear hallway off the Kitchen, you’ll discover a convenient side entrance, as well as access to the first floor bedroom, where a giant walk-in closet and full bathroom crafted in marble and ceramic will wow guests and family alike. 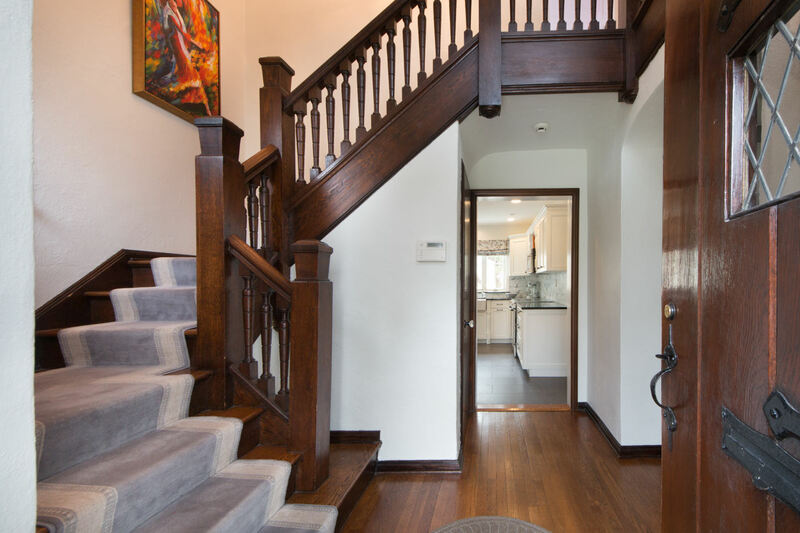 Head back up the main staircase with chestnut railings and you will be welcomed by three more large Bedrooms. Inside the Master Bedroom notice how chandelier sparkles in the natural light, serving as a magnificent centerpiece to the room and take note of the original archways, which honor the time period of the home. 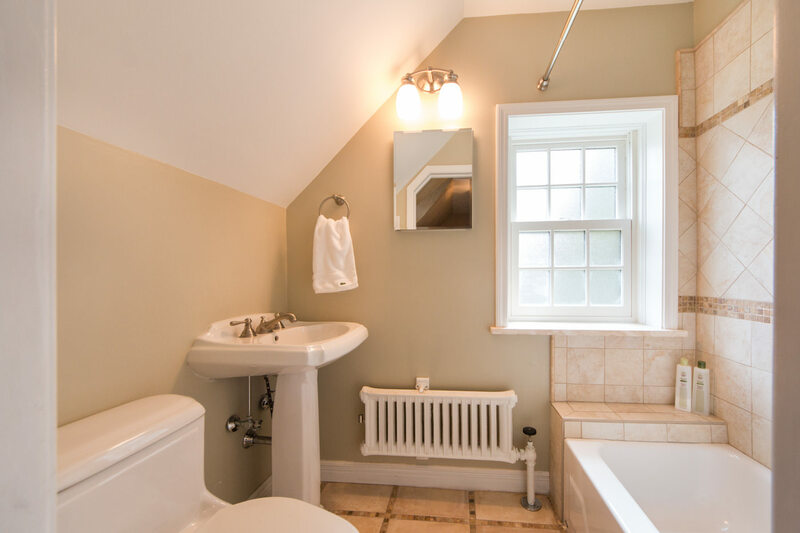 Through the fully renovated en-suite jack and jill bathroom, complete with polished nickel fixtures and marble throughout, you will be connected to Bedroom #2, which boasts built in features inside the spacious closet. 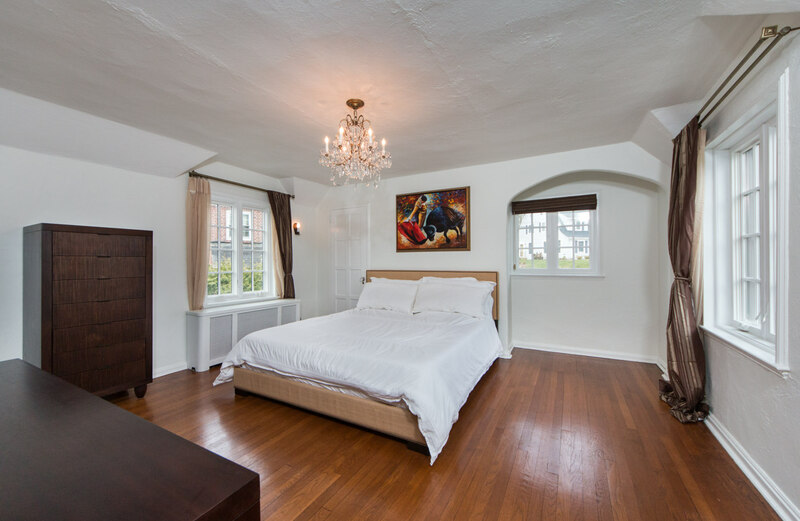 Across the hall you will find Bedroom #3, which flaunts a full en-suite bathroom covered in marble and renovated to perfection. 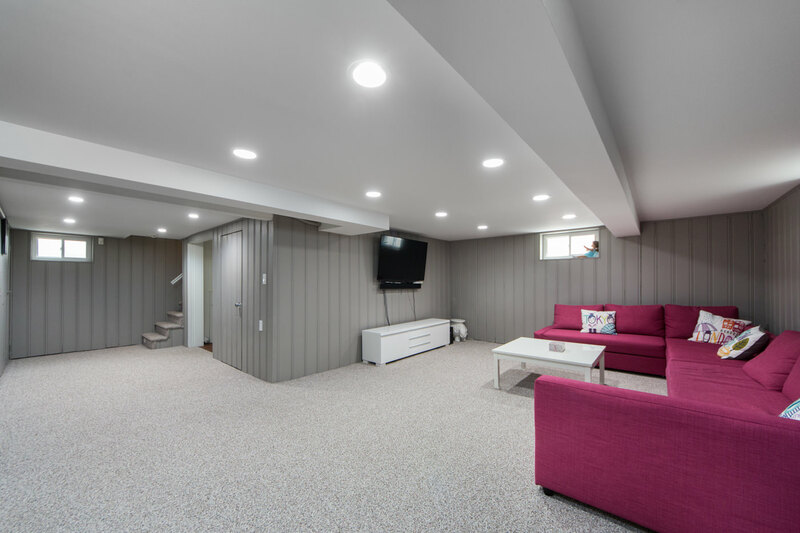 Make your way to the Lower Level off of the Kitchen and be amazed by the endless possibilities the finished basement has to offer. Built in storage and pantry units line the wall ensuring you’ll never run out of space for supplies. 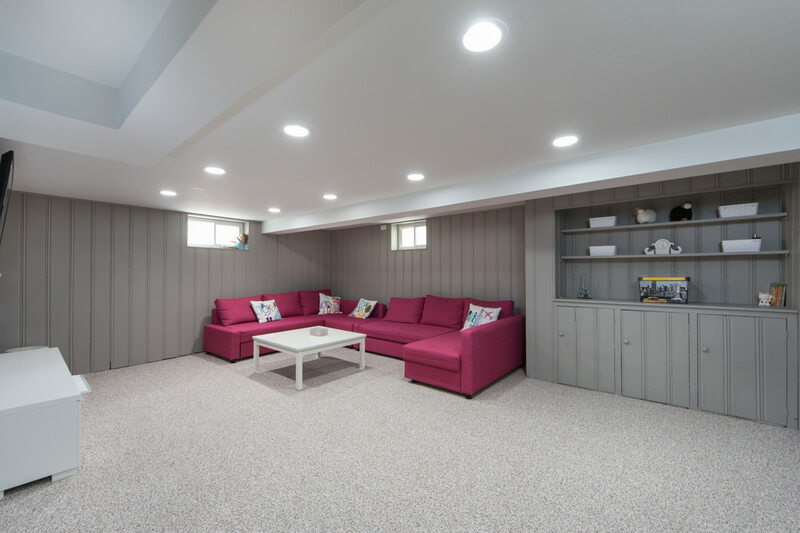 Utilize the custom built-ins to make the downstairs a place for parties and recreation or configure a long pull out sofa to serve as extra sleeping space for guests. 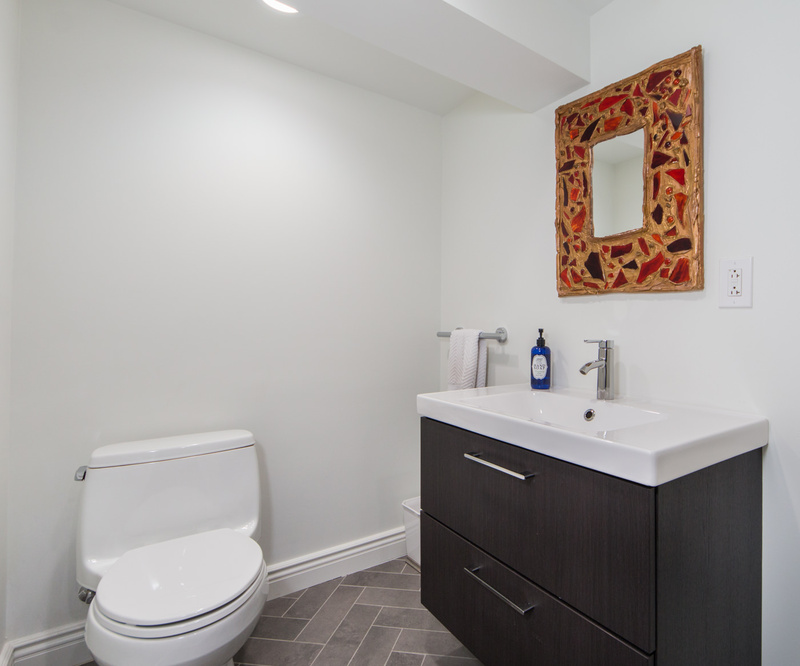 A fully renovated bathroom clad in ceramic with recessed lights makes spending hours in this space convenient. An LG energy efficient washer/dryer, built in drying rack, and extra closet area makes the basement highly functional. A mudroom with existing shelving keeps everyone’s shoes organized and the floors clean from outside dirt. Step outside to the two-car garage, which includes tons of storage space and entryway to the backyard. 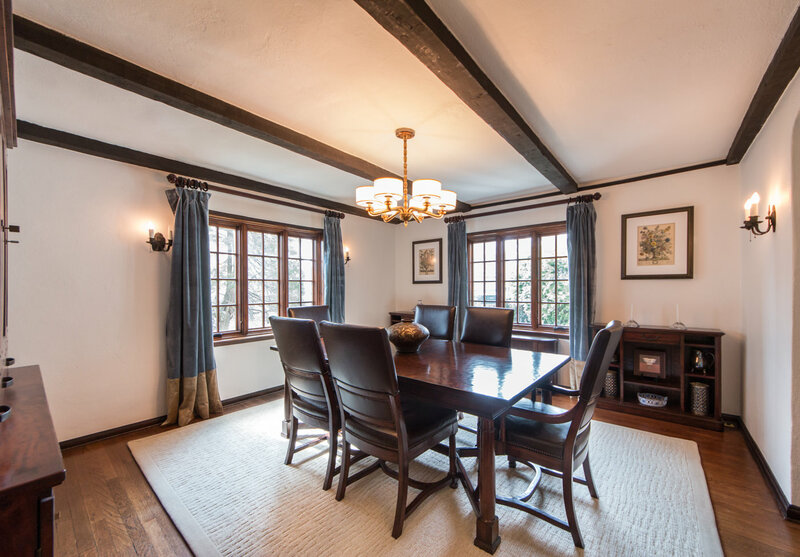 Enjoy the benefits of a beautiful home at 24 Haddonfield Road along with the benefits of living in Short Hills, New Jersey. Easily travel into New York City for work or leisure from the Short Hills or Millburn train stop. Shop downtown or at the exclusive Mall at Short Halls or even see a show at the Paper Mill Playhouse. 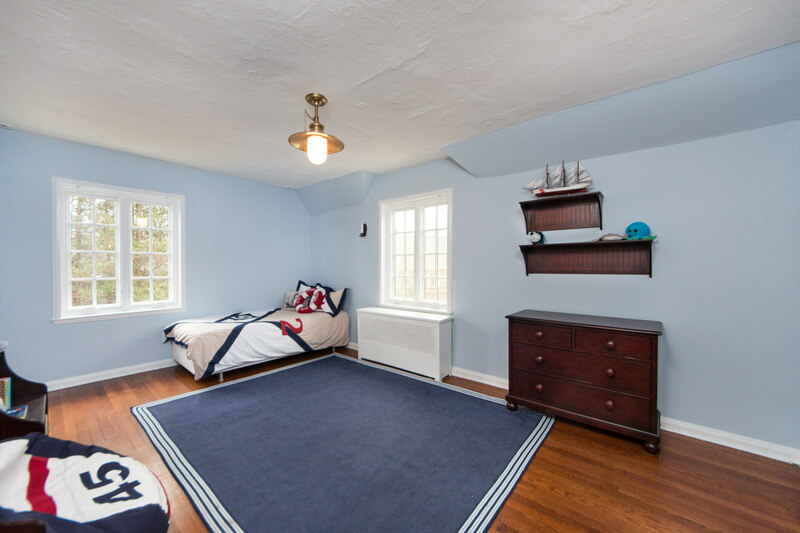 Send your children to a Blue Ribbon school system with free busing to Hartshorn Elementary School in one of the most affluent towns in New Jersey by calling 24 Haddonfield Road your home.